India's second-largest IT company, Infosys, put out a press release on the 2nd of May, 2017 (link), that it would be hiring "10,000 American Workers Over the Next Two Years and establish four new Technology and Innovation Hubs across the country focusing on cutting-edge technology areas, including artificial intelligence, machine learning, user experience, emerging digital technologies, cloud, and big data." The first hub, the Infosys press release stated, was expected to open by August in Indiana, which coincidentally is also the home state of the US Vice President, and which would create 2,000 new jobs in the state. Infosys wasted no time in advertising for jobs in the United States, prominently linking it to its announcement. Nor was there any dearth of tweets on social media site Twitter to give this news more amplification - see this, this, this, this, or this. While this is certainly good news for the United States and for its President Donald Trump's goal of making American "Great Again", the impact on outsourcing companies like Infosys is likely to be less positive. 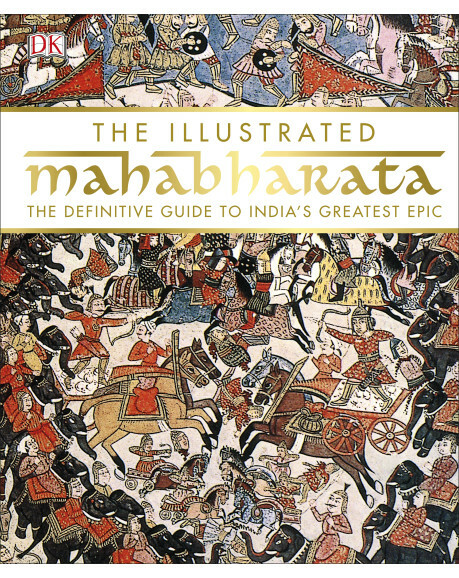 n my review of "The Illustrated Mahabharata", I wrote that this is a magnificent coffee-table book that fills a need for a lavishly produced book on the epic. 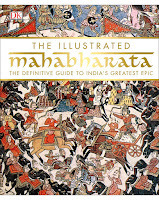 The only blemishes in the book are the innumerable errors that have crept into the book as a result of the editors sourcing the story of the Mahabharata from Devdutt Pattanaik's adaptation, "Jaya". What the book says - "Impatient now, Gandhari decided to force the child out of her. She ordered her maids to strike her belly with an iron bar...." See the screenshot on the left. 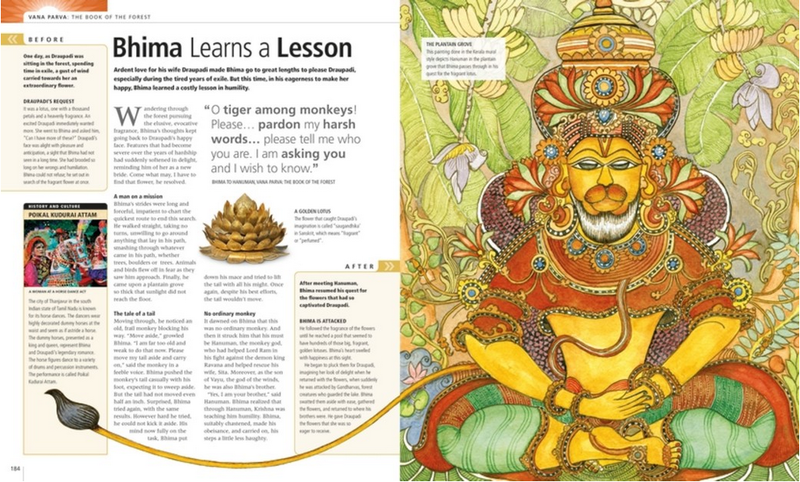 What the Gita Press says - it is more or less consistent with the Critical Edition (see the screenshot below). 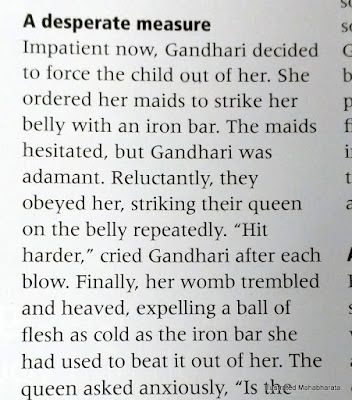 Devdutt is wrong in writing that Gandhari ordered the maids to strike her belly. 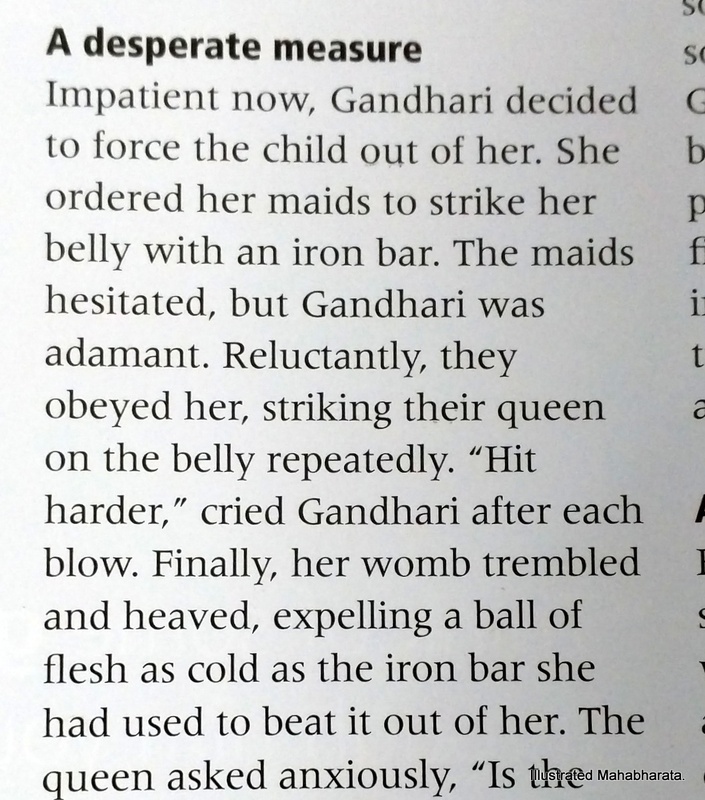 He is wrong when he writes that Gandhari ordered the maids to do so "repeatedly." If Devdutt believes he is writing a new Mahabharata, then it is certainly his creative right to do so. If, on the other hand, he is talking about the Mahabharata the epic, then he has no right to take such creative liberties that border on the absurd. A scholar, or even a self-proclaimed "mythologist", should know better. Even with the scores of books that have been written on the Mahabharata - translations like Dr. Bibek Debroy's, abridgments like John Smith's, retellings, adaptations like Chitra B Divakaruni's or SL Bhyrappa's, commentaries, poems, criticisms, plays, children's versions, comics, satirical takes, and even parodies, there was a need for a coffee table book. Not a half-hearted "illustrated" version of a book, but a beautifully illustrated, lavishly produced, comprehensively researched, designed with this end in mind - a complete coffee table book. The "Illustrated Mahabharata" fills that need. How lavish? 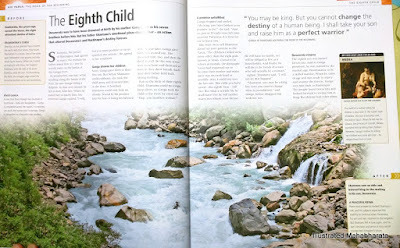 It is more than five-hundred pages long, with more than five-hundred full-color illustrations, glossy paper, hardcover, and lay-flat binding which means double-page illustrations are possible (see the two images below).